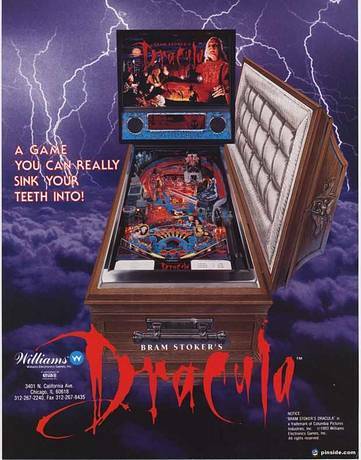 This machine was designed by Barry Oursler for Williams in 1993. 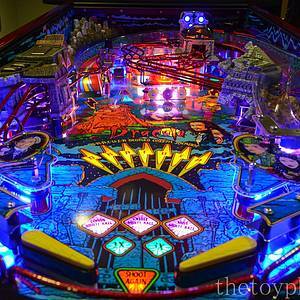 The machine was based on the 1992 movie of the same name and features many toys based on the movie. 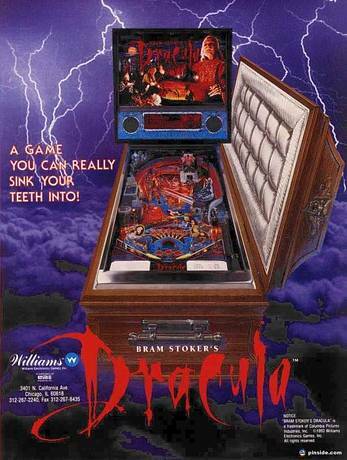 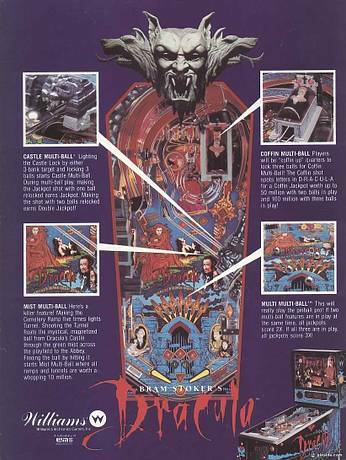 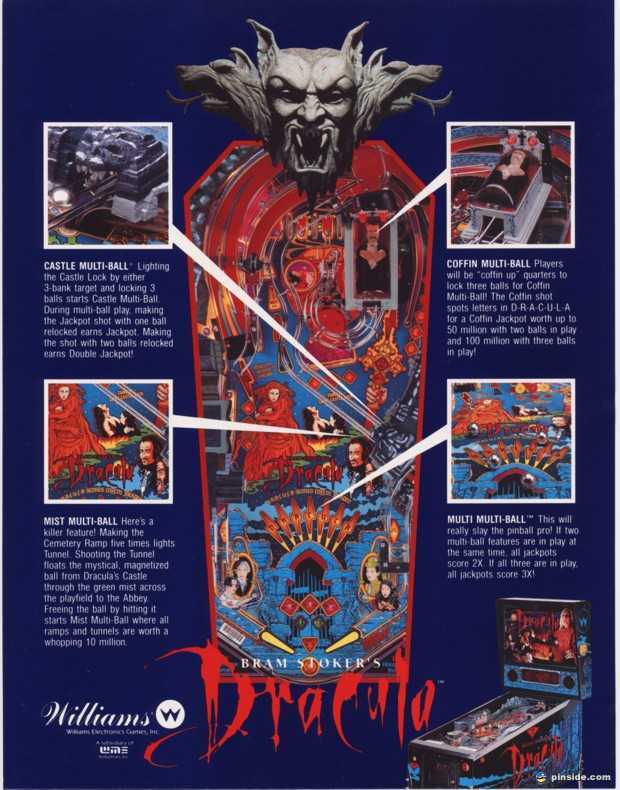 The primary challenge of the machine is to stack 3 multiballs (Castle, Coffin, &amp;amp;amp; Mist), kill bats and rats, and earn big points in the process of doing so. 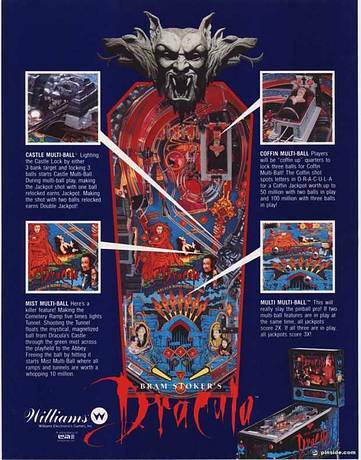 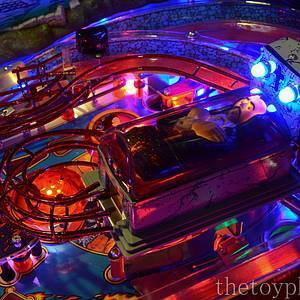 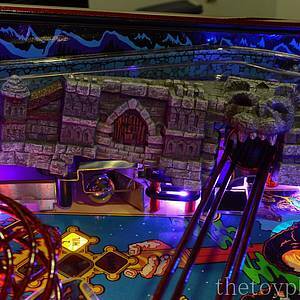 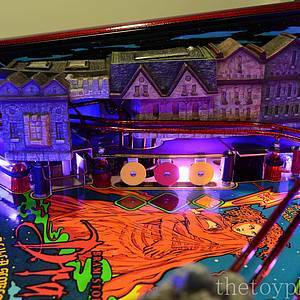 Toys in the game include a revolutionary magnet that can throw the ball along a trail for Mist multiball, and two separate lock traps for "Castle" and "Coffin" multiballs. 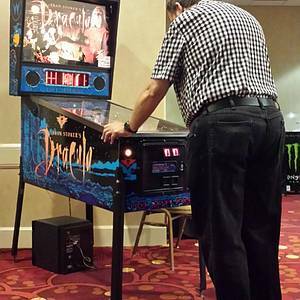 This game has received 593 approved Pinsider ratings and currently has a rating of 8.161 out of 10. 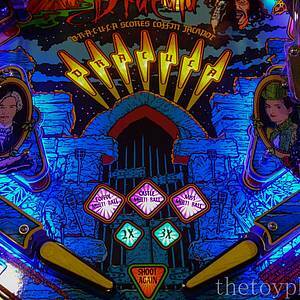 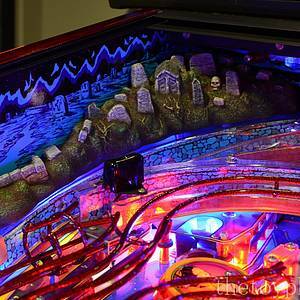 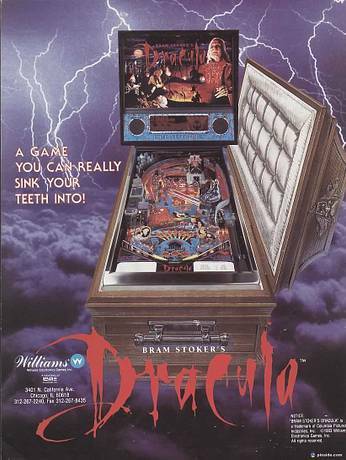 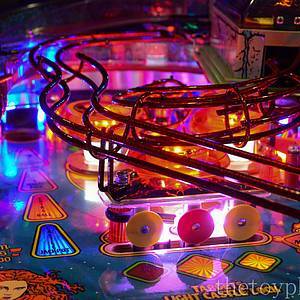 This game ranks #37 in the Pinside Pinball Top 100. 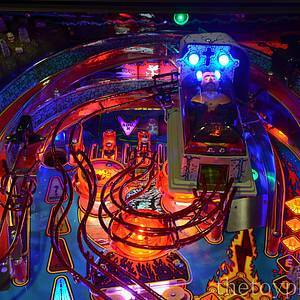 There are 317 rating comments for this game. 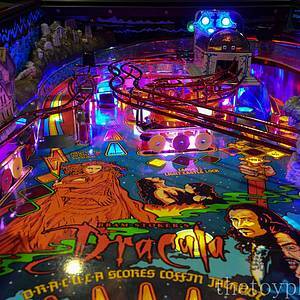 799 Pinsiders have this game in their collections. 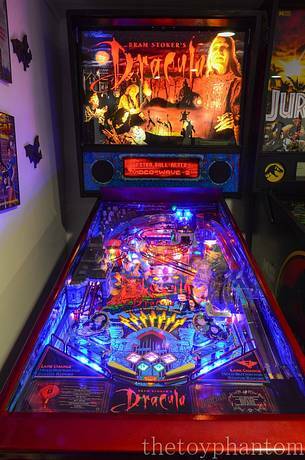 608 Pinsiders have this game on their wishlist. 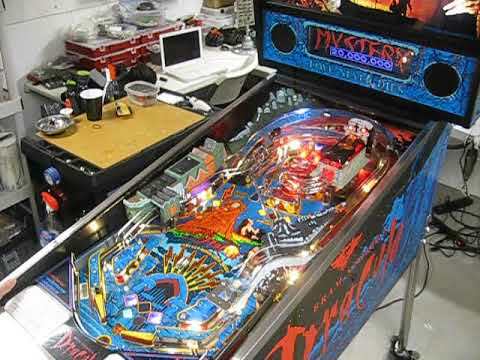 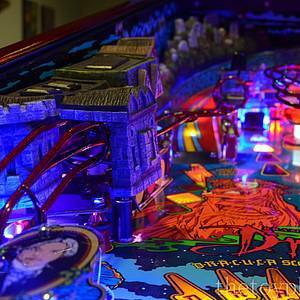 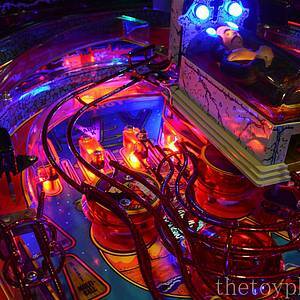 122 public locations known where you can play this machine.